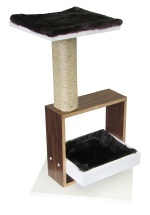 Your cats constantly love to be around you, or looking out the window from a elevated secure spot, this high quality cat wall perch will offer your cat just that, a safe secure spot that is their own with out compromising any floor space. 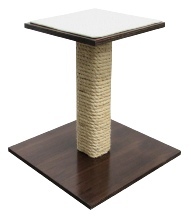 This Perch will also compliment your home décor as its beautifully designed. 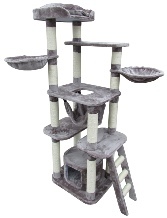 Manufactured with high quality materials that will last for years to come. Finished in Beautiful driftwood Grey and White paint Texture. 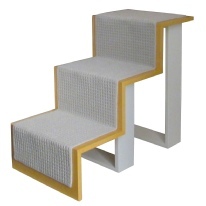 Complimenting This Beautiful perch is soft commercial grade white faux fur.